Over sixty, the decades shrink and the memory lengthens, stretching from earliest childhood to the oppressive familiarity of hospitals and graveyards. But over sixty the contours of feeling and relation also expand, and what may be covered travels widely. It was very much my pleasure to read for this West Coast poetry section of Persimmon Tree—reading the poems of women who were plus sixty as well as into their nineties, all living with intensity, and with power and resilience, noting the life in themselves and the people, objects, and places around them. The pour here is various: many lights, tones, accents, and much complexity of finish. I particularly admired the formal inventiveness and elegance of Judith Montgomery, and thought her poems in their fusion of pain, terror, obscenity, and beauty very much deserved the prize at my disposal. Anne Barrows’ “At Island Lake” invents a language that preserves dark comedy while it also soars into more elegiac regions, while Marcia Falk’s “Sun-Drenched Barn” gives us a sophisticated meditation on the intersection of material and invented reality. Muriel Karr effectively explores a blunter, more vernacular range, and echoes a consistent preoccupation of many: the heavy weight that our parents lay across the shaping of our lives. There is a seductive playfulness in Ellen Bass’s “Ode to my Body on Leaving Sixty,” and in Dorothy Gilbert’s fruity “Riddle,” which appropriately concludes the selection of poetry for a journal named Persimmon Tree. The poems of Bass and Gilbert nicely counter-balance the onset of darker emotions saturating the two hospital poems by Gail Rudd Entrekin and Sally Allen McNall. Entrekin’s “Recovery Room“ does not allow its grim experience to occlude a radiant tenderness, while Sally Allen McNall confronts with wry courage the bitterness inherent in the fragility of our bodies and the often dismaying inadequacy of the places in which we put them for cure. Cooper Gallegos’ poem “Cornstalks and Crows” beautifully poses a startling, vividly fatal moment. I follow editorial custom by adding a poem of my own. Regretfully, because I didn’t quite see the room to fit their poems into the emerging conversation of this issue, I put aside pieces by Ann Reh, with its redolent place and childhood memory, and was also caught and held by Carol Ellis’ “Fir,” a marvelous time-lapse photograph of northwest logging. Finally, though I was very much pleased by the richness of sensibility displayed, it was gratifying to discover so much of “the fury and the mire of human veins” and to see that the touch was still so hot. raccoons and possums with yellow incisors. they hold their purchase on the splintered fence. my neighbor leaves out for her cat. silver candlesticks, suitcase of dreams, lacey certainties. and soaking up the glamour of the old constellations. you bind my kneecap into the socket. and can almost make it down the stairs. so it’s hard to know when you are here. for your voice, and ask again, What did he say? to laugh because sorrow is so wearing. in a garden. Or wilderness. Her face hidden by her hair. The rough grass under her. She is nine. Or ten. and three fourths by two and three fourths. So. Cut down from something larger. To fit into a wallet. The wallet of my former husband. Which was stolen when he was in Florence with his new wife. when it was returned a year later. Ten years before he died. spread on the dining room table. Until I saw myself between the dark wood and the light. at our faces—upward turned to his. of-silver wrapped about her limbs. bound in a snood of woven gold. to corset her waist. Breath. muting verb and adverb of her stride. and mesh that nets her tongue. cancel the throat of her moan. there is no tense to talk about this face. Silenced. Bound. Tracks wiped of all trace. seized out of time her captors erase. they have no tense to talk about her face. times this shortest night. The deadline stirs. they’d cut off from a future they abjure. that floats on midnight screens in bruise and haze. safe. Look—don’t look—too closely at this face. and takes the elevator to the parking lot. to the car. There are of course consequences. spoke of this morning as “a good death,” maybe. with no plans and nowhere to go. weightless and free as haydust? the tired loves. . . The woman stops. even as she begins to be one with it. To crumble into the corn patch. On the tallest corn plant. the air was black with the birds. Of sound and the crushing of the entire field. had sprouted from the earth. Things cannot be made right. Bound as the weave of feather on wing. at the feet of your weeping daughters. covering the drying, invisible you. let us think, in what position? in the slow mangle of decay. . .
of memory given to others to hold. my little flames, ignited by the sun. Anne Barrows was born in 1935 in Worcester, Massachusetts. Her early life, like everyone else's then, was dominated by World War II: rationing, the radio, frequent moves, and the letters with drawings of birds and butterflies sent home by her father from New Guinea, where he was stationed. It took her a long time to understand what “after the war” might possibly mean, and much longer to realize the pleasures of art and poetry, reading and music, friendship, the movies, and the exotic, barren Western landscape. She lives in Berkeley, California, deep in love with Mason, her husband, close to her family, and filled with good fortune. Marcia Falk is the author of The Book of Blessings, a bilingual re-creation of Jewish prayer in poetic forms, as well as several books of poetry and translation, including The Song of Songs (Brandeis University Press), The Spectacular Difference: Selected Poems of Zelda (Hebrew Union College Press), and With Teeth in the Earth: Selected Poems of Malka Heifetz Tussman (Wayne State). She is also a painter; her current exhibit of prints combining words and images, Inner East, may be seen at Hebrew Union College in Los Angeles. Her art may be viewed at www.marciafalk.com. Cooper Gallegos's family had a one-room adobe house in a small Mexican village where she spent summers as a kid. Her poem, “Cornstalks and Crows,” is written from a memory of that time. She has been published in Looking Back; What It's Like to Love a Woman; Sisters Singing; and she has read her work on Central Coast Public Radio. She is currently writing a collection of inter-linked stories set in the 1970's Mojave Desert. When not writing she makes “found art” from rusted metal she scavenges from the middle of nowhere. 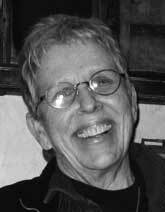 Dorothy Gilberts poetry has appeared in The New Yorker, The Nation, The Iowa Review, Southern Lights: PEN South Anthology, and, most recently, in the online journal Tattoo Highway. She translates poetry from medieval French and English and from our neighbor planet Musaeus. Her verse translations of two lais of Marie de France are included in the latest (2007) edition of The Norton Anthology of Literature by Women. She is preparing a Norton Critical Edition, with her English rhymed version, of Marie's oeuvre. 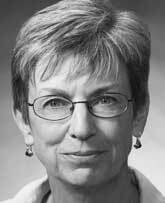 Dorothy Gilbert has worked for PEN since 1990 and teaches in a special program for freshmen at the University of California, Berkeley. 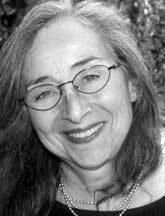 Lorrie Goldensohn, poet and critic, has been publishing poems and articles in journals like Ploughshares, Poetry, and Salmagundi, since the Sixties. 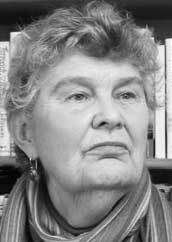 Her critical study, Elizabeth Bishop: the Biography of a Poetry, was nominated for a Pulitzer Prize in 1995. 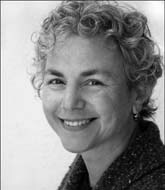 Her anthology, American War Poetry, appeared in 2006. She currently occupies the Fulbright Walt Whitman Distinguished Chair in American Studies at the Vrije Universiteit in Amsterdam. 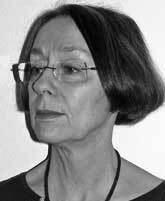 Muriel Karr has published two full-length collections of poetry, Shape of Pear and Toward Dawn (both from Bellowing Ark Press, 1996 and 2002, respectively), and an earlier chapbook, Membrane (BGS Press, 1994). The poem here, “If You Want to Smell Your Father,” opens her newest manuscript. Muriel used to teach French and German at colleges in Maine and Indiana. She now lives in California with her husband Ron, a jazz pianist and songwriter. She is not related to writer Mary Karr. 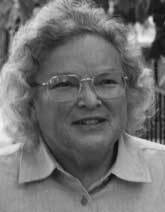 Sally Allen McNall has lived, written and taught in Kansas, New Zealand, Ohio, and California. 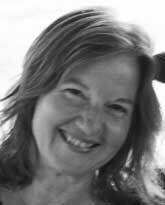 Her poetry was recently published in The Comstock Review, Iris, Out of Line, Nimrod, Poetry East, Barrow Street, Left Curve, Epicenter, Cafe Review and Cider Press Review. Her chapbook, How to Behave at the Zoo and Other Lessons, was a winner of the State Street Press competition. Her first book manuscript, Rescue, won the Backwaters Press Prize. A chapbook, Trying to write a poem without the word blood in it, came out in 2005. A new manuscript, Where Once, is in progress. 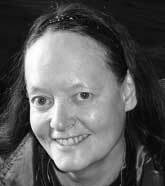 Judith H. Montgomery’s poems appear in Bellingham Review, Dogwood, Northwest Review, Cider Press Review, and elsewhere. 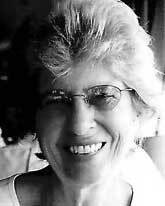 Her chapbook, Passion, was awarded the 2000 Oregon Book Award. Red Jess, her first full-length collection, appeared in 2006; Pulse & Constellation, a finalist for the Finishing Line Press Chapbook Competition, appeared in June 2007. The poems that appear here are from a new collection-in-process, Inter/View, supported in part by a fellowship from Oregon Literary Arts. View More: Next piece "Hands in Glass", Home, Archive. Publishers may give research publications for citation at http://www.ijtemt.org (International Journal of Trends in Economics, Management & Technology) and witness international recognition with eissn and indexing in renowned associations.